﻿ Texas Technical Services, Inc.
Texas Technical Services, Inc. (TTSI) is a full service security systems and parking solutions integrator providing turnkey services including design, installation, service and maintenance. TTSI represents the top tier manufacturers in access control, IP video solutions, alarm technology and parking access revenue control systems. TTSI is currently the sole distributor for Skidata parking access revenue control systems in the state of Texas. 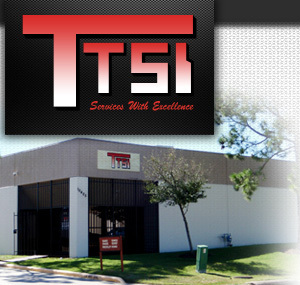 Texas Technical Services, Inc. was founded in 1985 and is located on the southwest side of Houston. TTSI is certified by the state of Texas as a Historically Underutilized Business (HUB) and by the City of Houston as a Minority / Disadvantaged Business Enterprise (M/DBE). Copyright © 2013 Texas Technical Services, Inc.